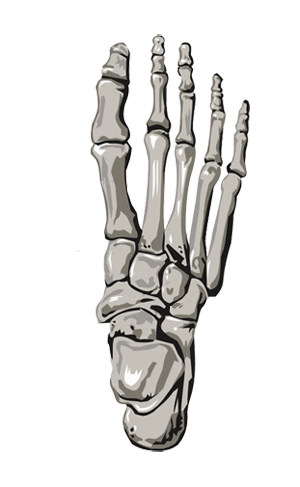 The foot’s complex structure contains more than 100 tendons, ligaments, and muscles that move nearly three dozen joints while bones provide structure. The position and function of the feet can lead to problems that affect the feet, spine, and more. Pain in the foot can be due to a problem in any part of the foot. Bones, ligaments, tendons, muscles, fascia, toenail beds, nerves, blood vessels, or skin can be the source of foot pain.